We at Grounds For Play are going full STEAM ahead in an effort to create outdoor classroom environments that enrich science, technology, engineering, art, and math. With great success shown inside the classroom, the educational efforts of our teachers can also be incorporated in the outdoor play environment with our products. Science surrounds us – from the plants in the garden to the rain falling from the sky. With all that nature provides, learning is easily incorporated into the outdoor play environment with the addition of a few great products that help children interact with nature's provisions. Try our Directional Trough System and Water Pump, Exploration Table, Pizza Garden, and Weather Station. What does technology look like in an outdoor play setting? While technology is closely related to the use of computers and cellular devices, technology also encompasses the use of tools and simple machines, discovering how systems work, and identifying and solving problems. You can easily incorporate technology into your outdoor classroom and play setting by including items that allow your children to use tools to pour, scoop, and investigate. Try our Gear Panel. Engineering is a way of doing – building, creating, and designing while solving problems along the way. Engineering comes naturally to children as they construct castles with sand and build large towers with blocks. What happens when the tower falls over or the sand castle falls down? Children are challenged to re-engineer their design and rebuild! Try our Inter+Blocks, Aqua Blocks, and Bark-On Blocks. Children can speak of and write about a certain subject but what happens when you challenge them to visually express the subject? Art allows children to further explore and understand a concept. By integrating art with other testing methods, you can ensure your children fully understand a concept while allowing them to playfully express themselves. Try our Art Studio, Art Easel, Documentation Panel, and Puppet Stage. Math can be seen in everything we do – it’s measuring, counting, and exploring shapes and sizes. A playground becomes a learning experience as your children learn time on our Clock Panel or count beads on our Bead Panel. 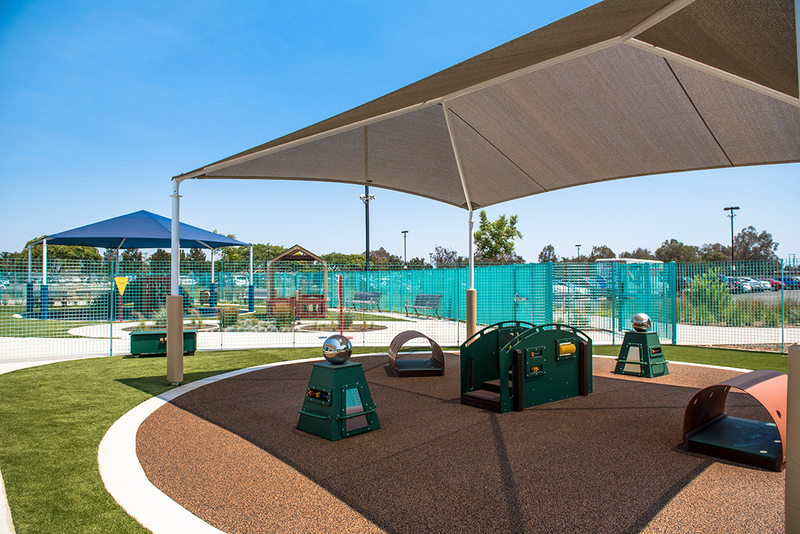 By adding products that incorporate math to your playground, you allow children to physically interact with math and understand basic concepts. Try our MagicBox, Clock Panel, Cool Keys, and Bead Panel. Contact us to learn how you can create an outdoor classroom that supports STEAM today!